The plunge in stock prices means it's time to earn the equity risk premium. Here's a reminder of this important fundamental financial concept of investing. 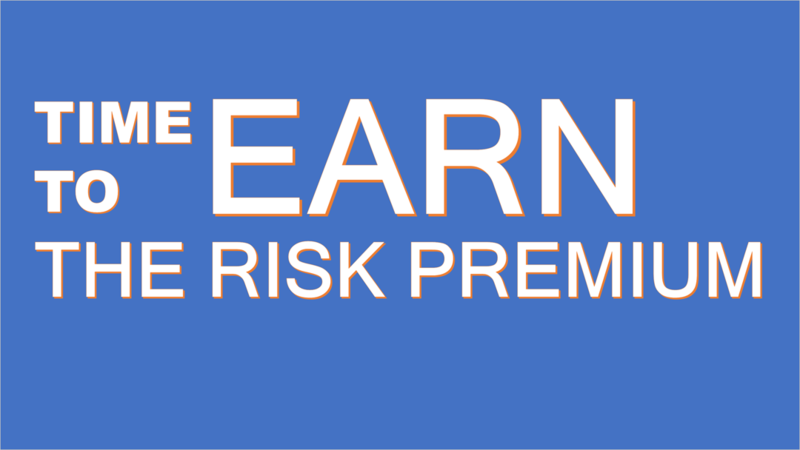 The risk premium is what you get paid for owning a risky asset. 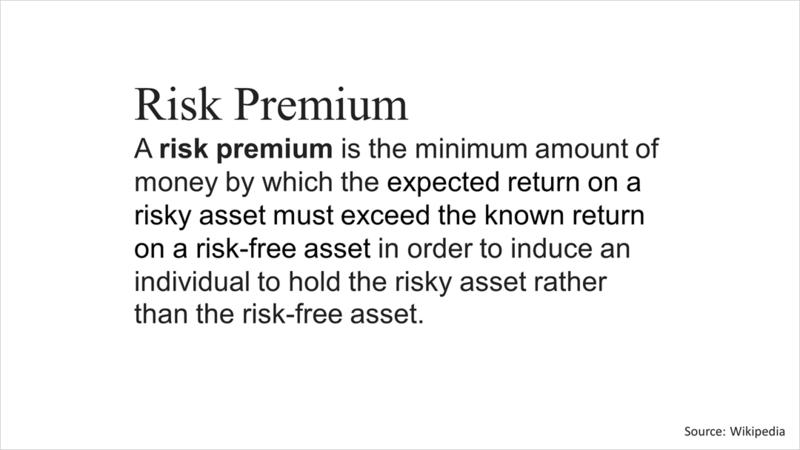 A rubric of modern portfolio theory taught at all major colleges and universities holds that investors get paid extra returns annually for taking risks. 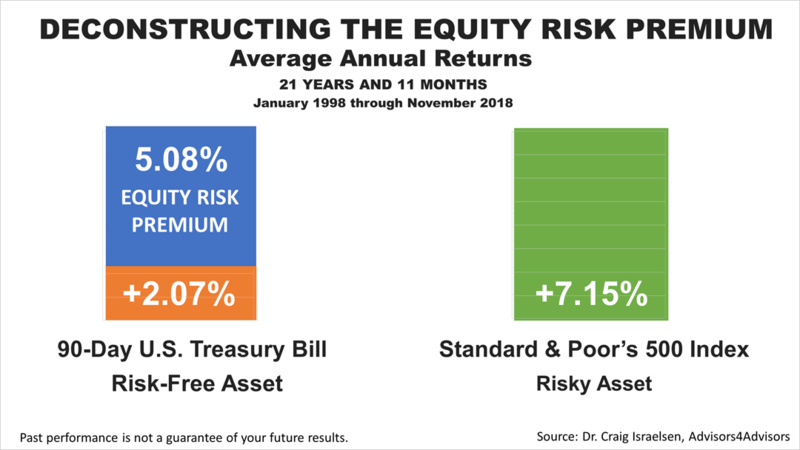 To quantify the equity risk premium, here are the numbers: The 90-day U.S Treasury Bill averaged an annual return of 2.07% for the 21 years and 11 months ended in November 30, 2018, according to Advisors4Advisors, a news service for financial professionals, compared to a 7.15% annualized return in the same period. This period of nearly 22 years encompasses two full economic and stock market cycles — the tech-bubble bursting in 1999 and the global financial crisis of 2008. Both economic cycles were followed by brutal bear markets. 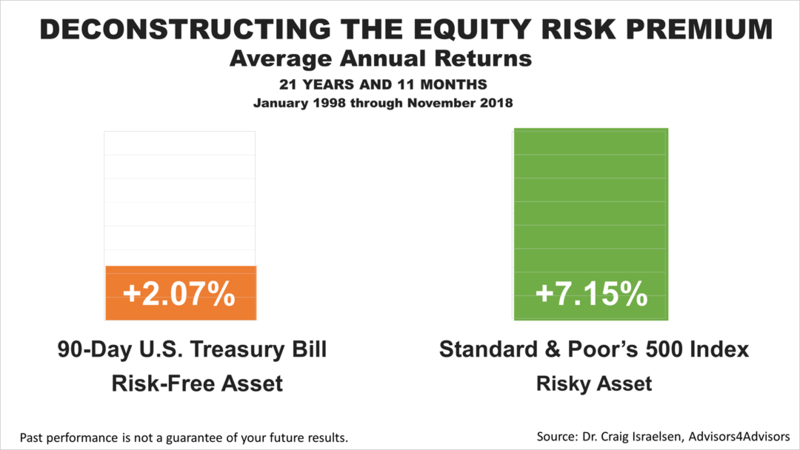 The difference between the 7.15% average annual return on the S&P 500 index and the riskless T-Bill is 5.08%. That was the extra return annually averaged on equity invested in America's 500 largest publicly held companies in the 21 years and 11-month period ended November 30, 2018. The recent plunge in stock prices follows an amazing 10-year bull market was no huge surprise, in the context of the equity risk premium, and it is always important to remember this important fundamental of investing in times of stock market losses.